How's everyone doing? 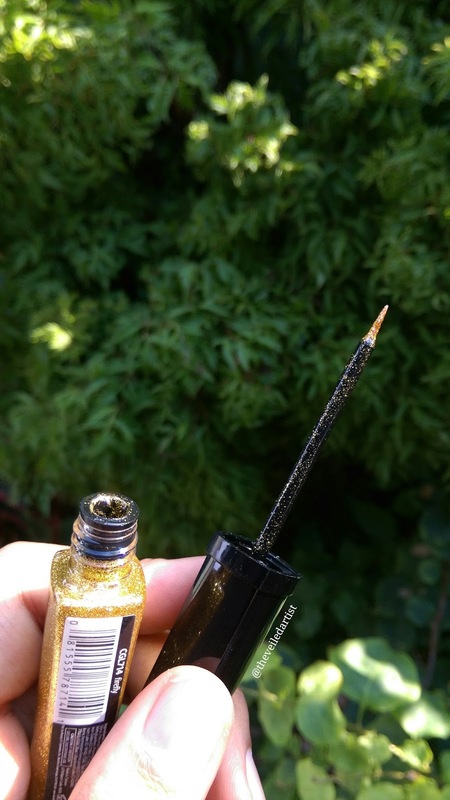 Today's post is going to be a review on this gorgeous glitter eyeliner by L.A. Colors Cosmetics!! P.s. I kinda died a little inside while taking these pictures because it was soo freaking beautiful in the sun! 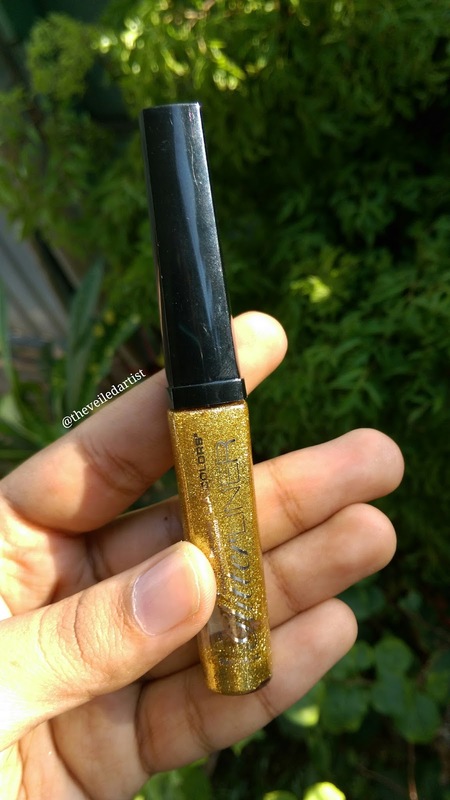 I purchased this for $2.50(400LKR) but I can't seem to find how much product you get. I feel like it's around 2 or 3g. It has a nice skinny wand and comes in clear plastic tube so you can see what shade you're picking easily. It feels very tight and secure when closed so it's great to travel with, especially if you're a makeup artist and you need to use glitter on a client as it is not messy like loose glitter. I got the shade firefly which is a gold shade and I really just want to get my hands on rest of the 11 shades from this range. 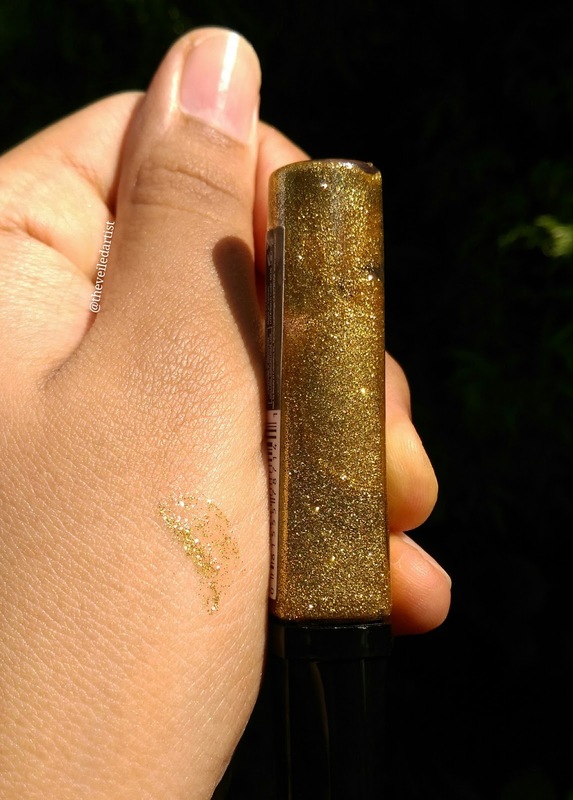 I loove how easy it is to apply glitter with this product. There is zero fallout. It takes about 2-4 mins to fully dry and when it does, it stays put until you decide to take it off. I wear contacts and so far it hasn't irritated my eyes. The only thing I don't love about this product is that it isn't packed with glitter particles. 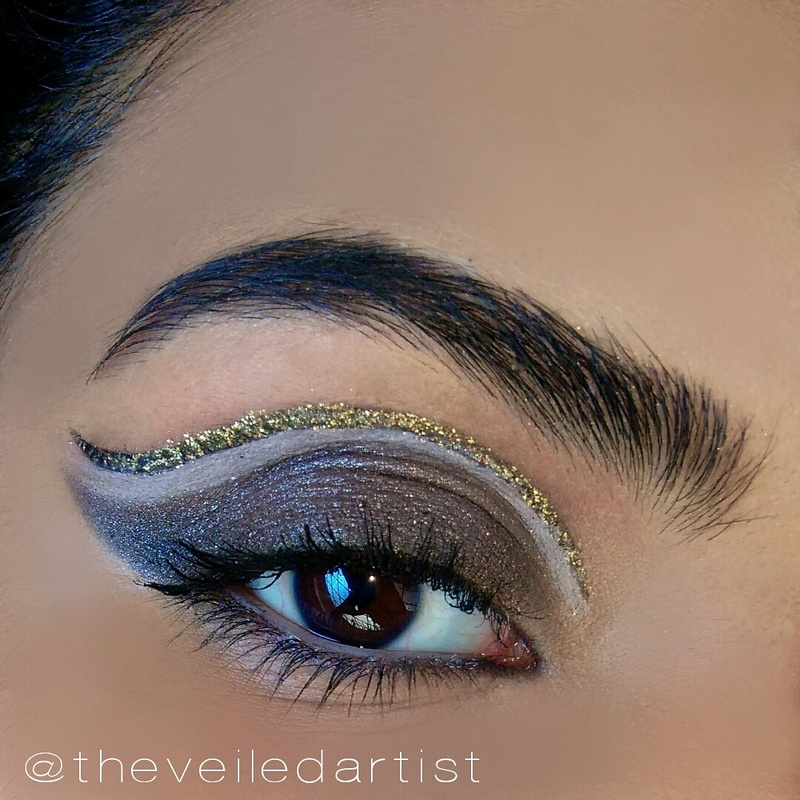 If you want to do a glitter liner look you may have to go over it quite a few times or use a base liner for full impact. 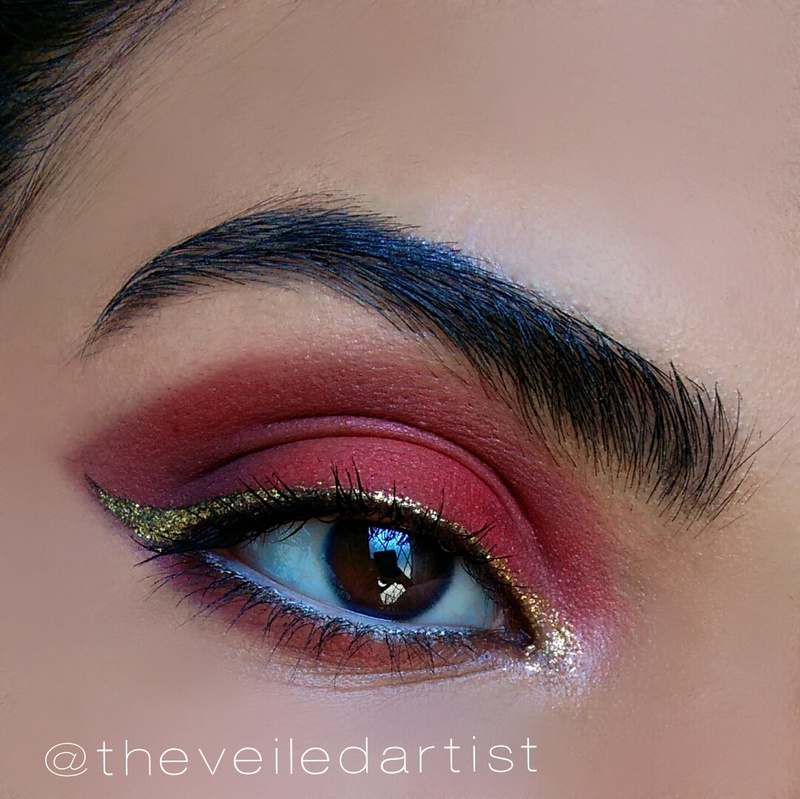 I use antique linger by Jordana cosmetics as a base to make this liner pop! But honestly, for $2.50 or less, this is a wonderful product! If you're a glitter lover like me or a makeup artist, definitely try it out if you get the chance. 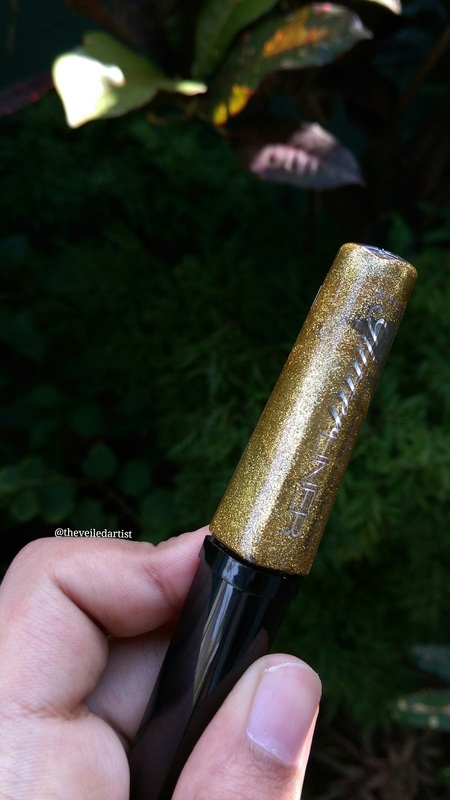 Scroll down to see some looks where I used this eyeliner!